The Nesco A Better Oil is an expeller expressed canola oil which has more vitamin E and essential fatty acids. It is heart healthy oil which is extremely versatile and it can be used for dressing, frying, sauteing and baking. This oil is manufactured without using any chemical, solvents or additives. The A Better Oil 822701 (2-Pack) has many exciting features for users of all types. 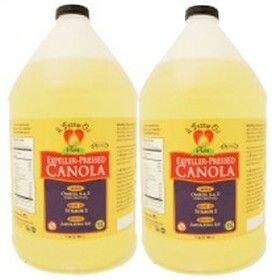 The A Better Oil 822701 (2-Pack) is sold as a Brand New Unopened Item.